Despite Ben Roethlisberger and his talks of retirement, he will be under center for the Steelers this year and take this team to a division title in a pretty weak division. Le’Veon Bell should be on the field all season long (meaning no suspensions coming into the year) and his running style is unique and very difficult to stop. His patience and ability to cut and accelerated on a dime puts a lot of strain on opposing defenses. Antonio Brown is likely the best receiver in the league and the more time Martavis Bryant can stay on the field (he also has a tendency to be suspended) the harder this team will be to stop. The Steelers added Joe Haden recently and at corner he is as good as they come. The Steelers needed help in their secondary and look for Haden to make significant contributions to that cause. James Harrison can still contribute the needed pressure enough of the time for this defense to be proficient. With this offense that’s all they will need to do. The Ravens are a team that I feel is starting to get the short end of the breaks they were getting early in the Flacco/Harbaugh era. The talent level has also slipped a bit and that’s why they will be on the outside looking in on the postseason this year. There is simply not enough of a running game on offense and while Flacco is a capable quarterback, like most he can’t be throwing the ball as much as they will expect him too and be successful. Defensively they are once again strong in the secondary. Baltimore loves to draft corners and found another good one in Marlon Humphrey out of Alabama in the first round this year. Jimmy Smith has turned into a very good pro at the other corner and those two will be shut down in the secondary along with Eric Weddle at safety. I don’t know how much longer Terrell Suggs has (34) rushing the passer and that is an area of concern I have coming into this season. Any time you have shut down corners like the Ravens do there is a chance in today’s N.F.L. If Flacco can handle the load you might see Baltimore sneak in at the end, I don’t expect it though. The Bengals may fall more than even I expect this year. Andy Dalton will love his new toy in speed merchant first round pick John Ross at receiver, and with A.J. Green there is explosive potential with this offense. The departure of Andrew Whitworth from the offensive line is going to be a difficult hole to fill for this team and I expect there will be explosives plays for this offense, but a lot of negative plays as well. That formula is not conducive to winning. On the defensive side of the ball Dre Kirpatrick has been good at corner but hasn’t become the elite player I expected he would. Vontaze Burfict is suspended to start the year (3 games) for another illegal hit and I think most of the players have tuned Marvin Lewis out. Whether or not ownership will ever give Lewis the ax is still unknown however. 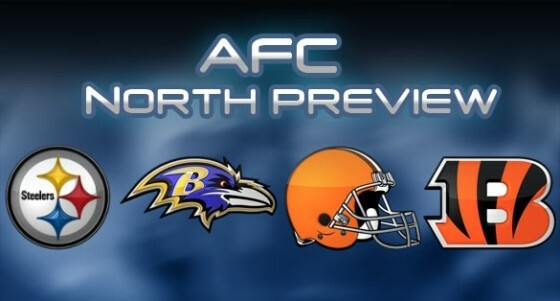 Better will still be awful again for the Browns and who knows when this team will finally get to respectability. Rookie DeShone Kizer is going to get the start at quarterback, which should tell you how dire the situation is. Kizer might have it and will only learn by doing, but there is just not enough talent here and when Kizer doesn’t succeed (which is almost a certainty) his career will never be the same and may be over. I don’t ever like surrounding young quarterbacks who are still raw with no playmakers. The only saving grace will be he has Joe Thomas protecting his blind side. It leaves no room for improvement and mistakes will be a bound. Top overall pick Myles Garrett will be solid and possibly get double digit sacks, but the recent departure of Joe Haden leaves a big issue and corner. Cleveland will improve, but that isn’t hard to improve off of last season’s single victory. Outstanding summary! Who do you think will be in the Superbowl?